When your attention keeps being pulled in different directions, and new priorities keep making their way onto your to-do list, it’s easy to miss something important if you’re not careful. One thing I’ve learned about convenience store owners is that there’s no end to your tasks and responsibilities. After all, convenience stores are set up to be convenient for the consumers, which puts a lot of pressure on owners. They’re expected to stock all the right products and offer a little bit of everything. And for the most part, they do. What “Extras” Does Your Gas Store Carry? And that’s just for food items. 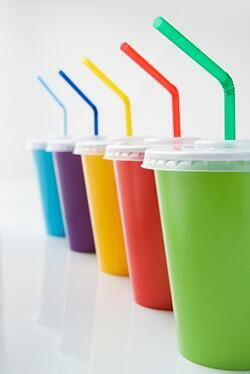 Fountain drinks and hot beverages require their own straws, cups, and lids. There’s also non-food related supplies like soaps, cleaners, register tape, and toilet tissue. All these convenience store supplies have crisis-causing potential if they’re not available. Many products and product lines have specific supplies that accompany them. Any consumer who’s had to drink a frozen slush beverage like Glacier Blast with a fountain soda straw knows how important it is to have the right supplies for their products - like a bigger straw for your slushie. Coupling where you source your products and your supplies from can help ensure you always have the right combination of convenience store supplies. Bernick’s is more than just a beverage distributor. We’re an affordable, reliable distribution partner who invests in our community and our customers. We know the success of your convenience store matters to you, your community, and your consumers, and Bernick’s is dedicated to ensuring that you have the products, support, and “extras” you need to make it happen. Gas station owners deserve credit for the effort they put into being successful, and they also deserve a partner who understands their industry and supports their business goals. At Bernick’s, we’ve got you covered.